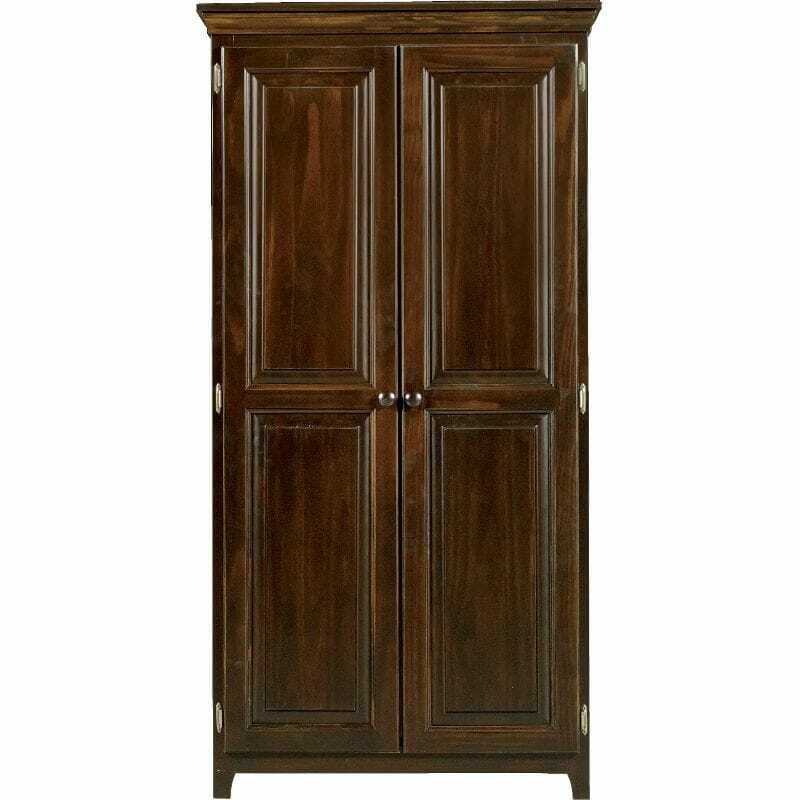 The stately design of this wardrobe will add any air of elegance to any bedroom. 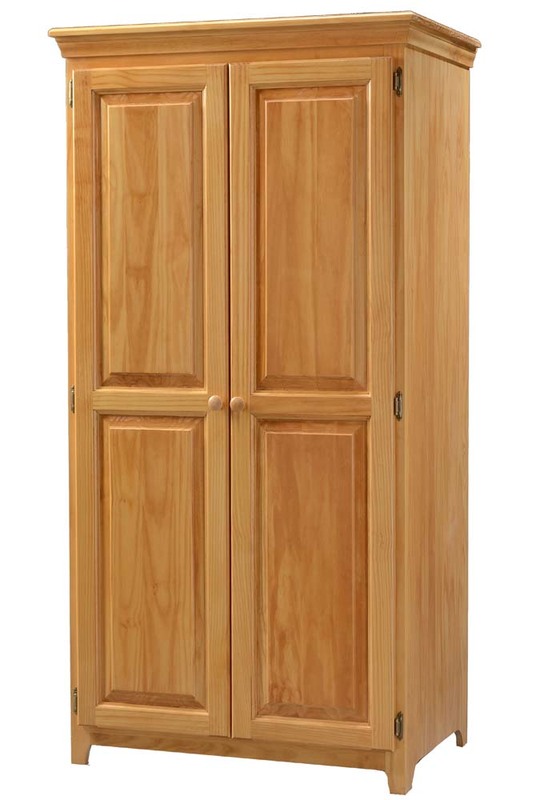 From the Pantries & Cabinets collection, this unit is made of high quality, knot-free hard pine which ensures it longevity of appearance and use. 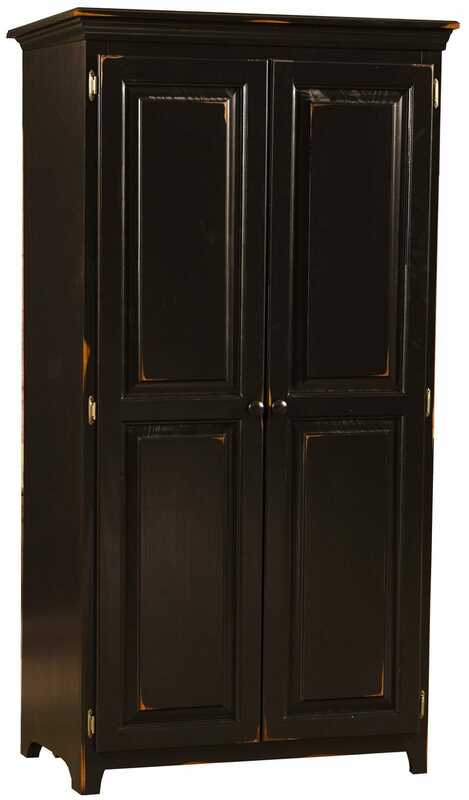 The double doors open to reveal a spacious storage area, perfect for keeping delicate clothes, winter gear, or any bulky items that will not easily fold. 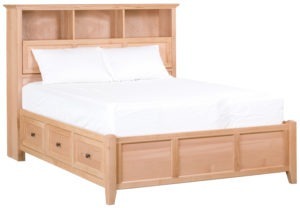 A hanging rod is included for your convenience. 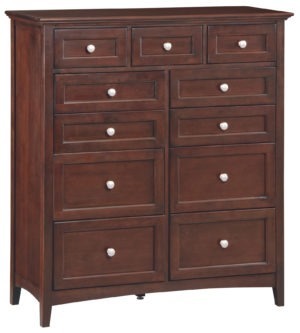 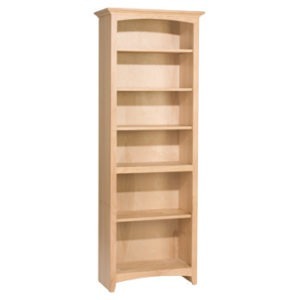 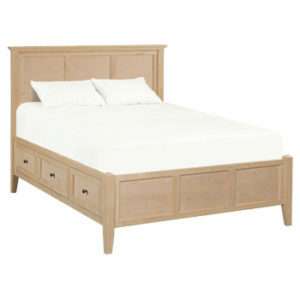 This piece ships fully assembled and is available unfinished or finished in your choice of stain or glazed paint.